I'm super stoked to tell you that I've been asked to speak at two separate events this month. It gets me excited and a little nauseous at the same time. #seriously. 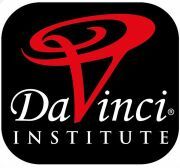 Monday, September 10, 2012 - from 6:30 til 8:30ish at the DaVinci Institute, at The Vault in Louisville, CO. This one is all about the Empire of One, the new trend in one-person online businesses. Hopefully I can share my story and inspire others to continue with their passions. If you'd like to come you can sign up here online, it's free to members and $20 for non-members. Great group of passionate entrepreneurs! Friday, September 21, 2012 - 2-4, at the Englewood Library for the IDEA Cafe, through the Small Business Chamber. This group is again, supporting aspiring entrepreneurs. They've told me not to prepare anything, as I will just be sharing my story. Let's see, I think I can remember that! Should be fun again. Looks like the event is free, and open to anyone. I always look forward to meeting new and aspiring entrepreneurs, and hearing their stories. These should be fun events, assuming I don't puke first. EEK! Can anyone come to the Small Business Chamber one?